GTA Race Series . 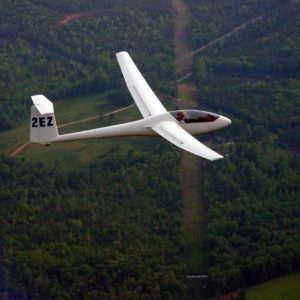 . . Sports Class Sailplane Racing | Where Real Soaring Funs in the the South begins! Where Real Soaring Funs in the the South begins! The GTA Race Series is an informal competition; a group of friends that get together around 10-15 weekends a year & fly cross-country. A&B class races are on weekends & holidays with the idea that pilots don’t have to use vacation to attend. We crew for one another, fly at several sites, share experiences and learn from one another (including several that have flown in Regional, National and International competitions), enjoy great camaraderie, and have a blast together. Newcomers and Visitors are always Welcome. The letters GTA stand for Georgia Tennessee & Alabama. This is where most of our pilots are from as well as where we hold our races. Everyone is always welcome to join us regardless where they may be from. Many participants come from other nearby states: Florida, South Carolina, North Carolina, & Mississippi. If you are willing to make the trip, we are glad to have you. Interested in your first race, but feel a little intimidated? DON’T BE! Click here to find out about how to get started with us.